With the explosion of social media, increasing daily screen time for younger children, and the omnipresence of advertising, the ability to decode images is becoming essential for kids. Pop Up Projects are all about strengthening visual literacy in schools. They host events around the country, for example bringing illustrators into schools, and holding teachers’ conferences. The theme of Pop Up Lab this year was ‘visual storytelling’, and the aim was to promote the use of drawing, comics, and literacy-boosting tech in the classroom. 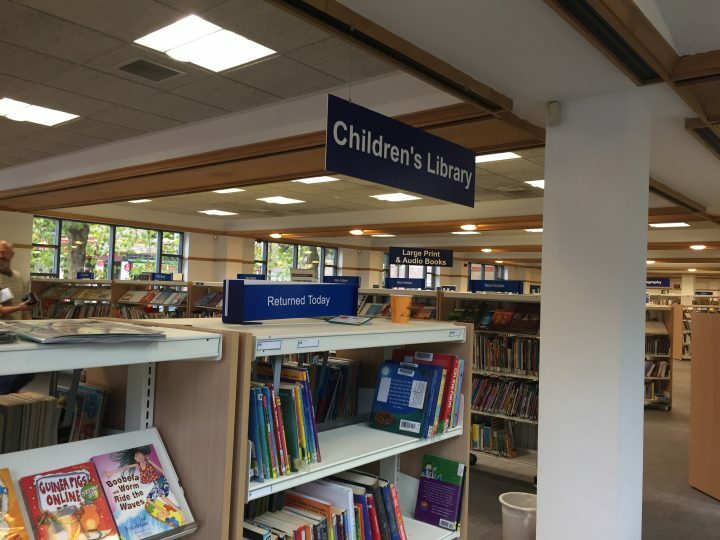 Peterborough Central Library, where we created our own visual narratives from random lines in children’s books! Bessora and Sarah Ardizzone outline the process of creating the incredible ‘Alpha’. 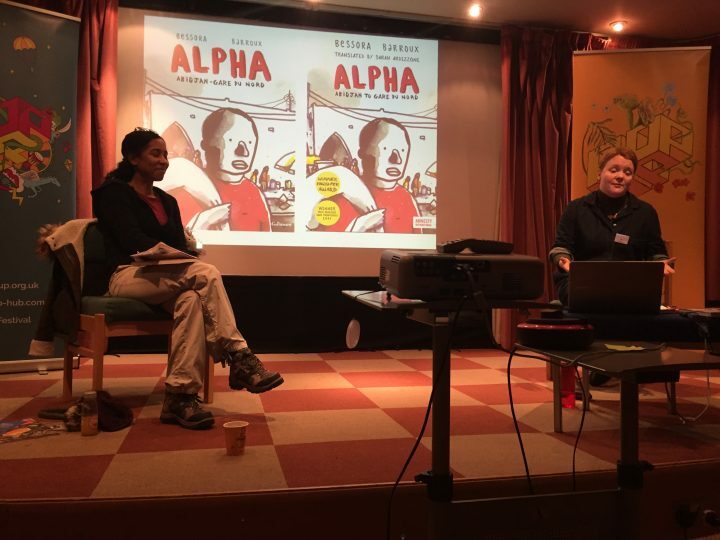 The fantastic keynote was delivered by ‘Alpha’ writer Bessora and her translator Sarah Ardizzone. They discussed writing comics, leaving space for the illustrator, and bringing comics to overseas audiences (producing the fantastic quote – ‘reading is always an act of translation’). We took storytelling into our own hands by creating narratives (later illustrated by some great artists visiting from all over Europe) from random lines taken from books in the library. Throughout the day, a range of sessions from illustrators, curators, publishers, and other educators introduced innovative ways to overcome the fear of the blank page and bring art into every subject. In the afternoon, it was our turn in the spotlight. 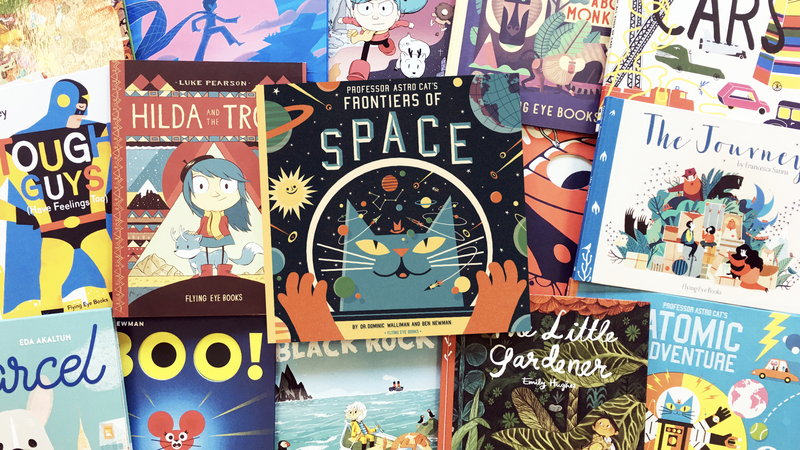 Sam Arthur of Nobrow gave an introduction to comic publisher Nobrow and its imprint for children, Flying Eye Books. Then, I introduced Minilab and why we expanded into digital! 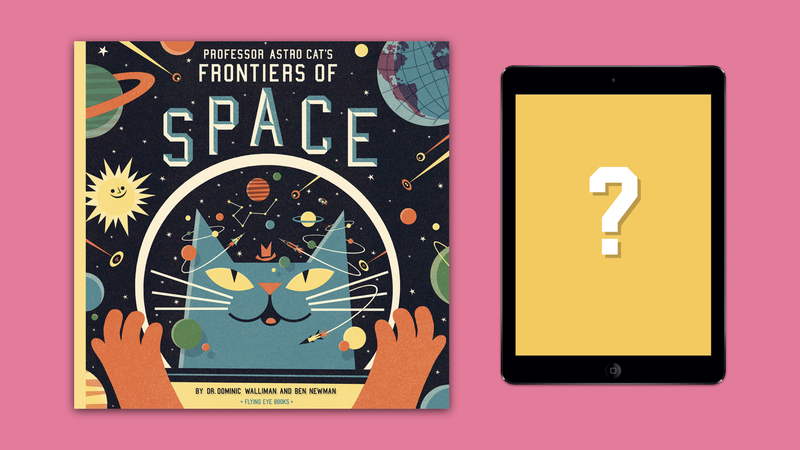 We passed around the books, demonstrated the Astro Cat’s Solar System app, and compared spreads from Professor Astro Cat’s Frontiers of Space with corresponding screens within the app – for example how the double spread of the solar system became a navigable menu! We discussed pros and cons of using each medium in the classroom and at home, and opened up the floor to comments. We did some learning too! Our listeners shared their experiences of using apps and books in their classrooms. Comments included books being more of a treat than apps for many children, how IT literacy (and therefore apps) is increasingly on the education agenda, and how to tie apps into the school budget (you can buy our apps in bulk on the App Store as part of the Volume Purchase Programme). As a result of the day’s discussions, Pop Up Projects has a manifesto on the way, finished with illustrations by Joe Todd-Stanton, who was the resident illustrator – we can’t wait!